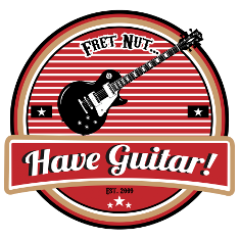 unboxing Archives - Fret nut... Have Guitar! I guess it’s that time of the year when guitars comes and goes! Yep, it’s time for another unboxing video, eventhough I did not get this guitar in a box… so that’s why I added “NGD” to the title. Whats that, you say. Well, “NGD” simply means “New Gear Day” and that’s exactly what this is about. So, I’ve been wanting a guitar with P90-pickups for a long time now. When I saw the Gibson sale that started awhile back (for the 2018 models) I saw this model for the first time; Gibson Gary Clark Jr. Signature SG – with 3 P90’s! So I got GAS immediately but then I got a couple of other guitars and was like “naw, forget that now”. Still it nagged me and then the other day, just before the sale ended I took my Godin Fishman Triple play guitar, which I hardly never play and went there. And came home with this Yellow menace. Eventually I will make a full review video of this SG but until then this is what you get. Very much like an unboxing video and well… that’s it really. Thanks for watching Have Guitar! If you wanna be loved like the rest of the gang who subscribes, I’d recommend you to subscribe you too! Remember, we’re all in it together! Time for a new unboxing video from Have Guitar! Got too inspired when I got a great offer from the Swedish Odin Guitars to buy one of their handmade custom guitars… the GAS! I’ve my eyes on the Odin guitars for quite some time now, they look really nice and from my experience so far they play nice too. The models does not come in any large numbers but still I urge you to have a look at their website – they have some serious cool and gorgeous axes! Thanks for watching! Be a kind human being and subscribe to support my channel or small froglings… I means kitten will disappear in mysterious ways! And a warm and big Thanks to all you who already subs! Well, it has been awhile since I bought something new and I had kinda promised myself not to do it… and then came along the new 2019 line-up from Gibson and goodbye self control. I do believe there are quite a few nice new models from Gibson but man… their prices has gone up! The previous Tribute models I have seen has been Les Pauls and in Sweden they have been sold for around 1000 USD. This tribute model has a list price from Gibson 1399 USD! And the High Performance series have increased as well. But anyways, a Gibson Explorer has been on my “to-get-list” since long before I even started playing guitar and this Tribute 2019 just has a stylistically pure design that just spoke out to me. Makes it look raw and clean! Also the Dirty Finger+ pickups has some good rep around the Internets so here we go! This is only the unboxing video, although there is a small sound example included… a thorough review should be up around end October I hope. And that’s it! Hope you will like this video and if you do – please do support my persistent crazyness by subscribing, it helps a lot! To all you subscribing already – you are the best and Thank You! Alright, so here’s another one of those unboxing videos. I needed some straps as I have more guitars than straps and I got this idea that I should try ordering some from China, through AliExpress. I can’t really tell you about the quality so far but they seem good enough at a first glance. No padding on these though and I am not sure if it’s real leather. Well, actually I doubt it, I think it is artificial leather. The real deal usually smells like leather and this does not. So, they look good enough to me and the price is very tempting – get four for a price less than one (here in Sweden). Well, let’s be honest – a handmade real leather strap IS worth its price, but if you’re down on the economic side this seems to be a very good alternative. I do hope you like this video and if you do – pretty please subscribe to Have Guitar! Your support is important!! A Very Big Thanks to all old and new subscriber, your support is inevaluable! Giveaways ongoing – win a distortion pedal or a free Kemper profile pack from TMS Profiles! Have Guitar is happy to present an unboxing and first impression video of the Electro Harmonix Green Russian Big Muff. This pedal should not be unfamiliar with any guitarist and this reissue of the russian version certainly will bring fatness and sustain to your sound palette. So this is not an in-depth review or test, just as stated; the unboxing and my first impression of the Green Russian Big Muff and it certainly gave an impression on me! It looks great and it plays great and it can alter the sound of your amplifier more than I had expected. Very cool indeed! And yes, that is a t-shirt from the KISS reunion tour 96/97. I have had that for 20 years and it’s still in great shape – you gotta love quality like that! That’s it! Hope you like the video and if so please consider to subscribe to Have Guitar! Every sub counts and there more I get the more the channel grows and that expands the possibilities. And as always a Very Big Thanks to all of you already subscribing!! Shot with a Sony FDR-AX100 in HD. Edited in Magix Movie Studio Platinum 14. Yeah, well… 250K views – that calls for something right? It does, and here’s a bonus video – the unboxing of a Schecter E-1 Custom Special Edition VSB. Isn’t that a sweet guitar? It is. So this is only the unboxing video, some sound samples are included, but the review will have to come later. Thanks to all you who watches my videos and a big thanks to all you subscribing to Have Guitar! The test / review will come later, I need some time to test out and get to know this reverb pedal before I do a video about it. Thanks for watching Have Guitar, hope you like it! Please do support me by subscribing or a leprechaun gets crushed under a tree somewhere. Thanks to all of you subscribing already, you’re leprechaun heros all of you!